Detroit is apparently getting its own sushi pizza spot. The trend of re-purposing the traditional sushi roll is nothing new. Sushi burritos, specially, have been around for years. Yuzu Sushi in Royal Oak opened in 2016 with a sushi burrito menu, along with poke bowls, which have become a huge trend on the West Coast. Now, Detroit is getting its own trendy sushi spot. Eater Detroit reports Poke Burri, a growing seafood chain offering unique takes on sushi, is scouting Detroit locations. Poke Burri first opened in Atlanta and has since opened locations in North Carolina and looks to be eyeing Boston, Denver and Tampa, in additional to Detroit, for expansion, according to Eater. 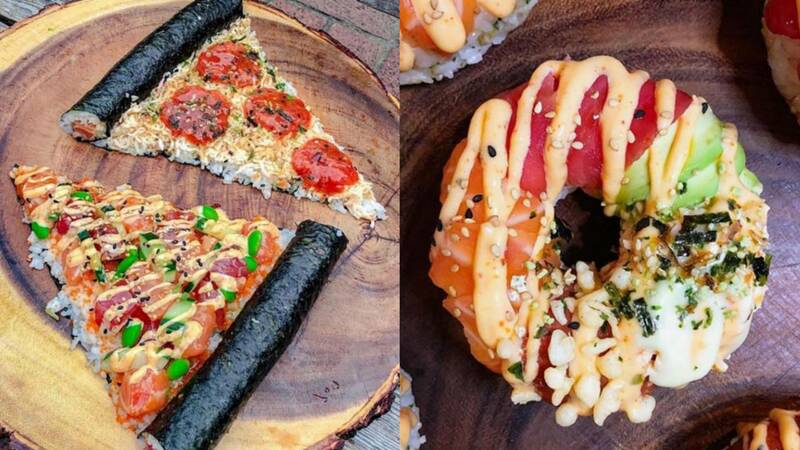 The restaurant primarily serves sushi burritos and poke bowls, but also has a "secret menu" featuring dishes like sushi pizza, sushi donuts and sushi corn dogs. These items are announced on their Instagram page. It's unclear where or when the restaurant plans to open in Detroit, but we're already looking forward to it. Check out some glorious food pictures below.